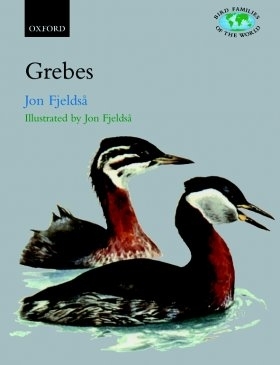 Grebes are fascinating and intriguing birds. They are unusual and unique in many ways; their habit of feather-eating; their method of sunbathng; their special method of underwater propulsion; the unusual structure of their feet; their courtship behaviour; and their floating nests. This indispensable work of reference includes 16 specially commissioned colour plates by Jon Fjeldsa, showing adults of all species and many juveniles, immatures and subspecies, and 116 black and white drawings illustrating special features and behaviour. Provides the most comprehensive and up-to-date species-level information available.